MEIZU TO PARTNER WITH NOKIA ON NEW SMARTPHONES? A day or so ago, Nokia officially announced its reentry to the Smartphone market. 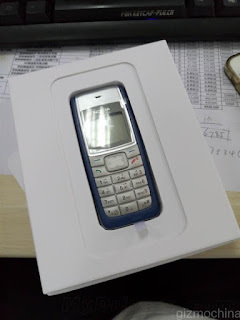 however unlike the Nokia of the past, the present day Nokia would be seeking a partner to handle certain aspects of the business such as the manufacturing, marketing and sales while Nokia concentrates on designing the mobile devices and licencing the Nokia name. It seems that Nokia's search for a suitable partner is over, if the recent invites by Meizu for the press event on July 29 is anything to go by. The press invites sent out by Meizu for the unveiling of the Meizu M2 happens to contain an old Nokia 1110 device, which happens to be number one best selling Nokia device of all time with over 250 million sold. Although the likelihood of Meizu announcing a new device is highly improbable considering that Nokia's deal with Microsoft prohibits it from selling new smartphone using the Nokia name until July 2016. It might just be an announcement of their partnership or it might just be a clever marketing ploy by Meizu. All the same I would be keeping my fingers crossed and hoping that something relating to Nokia is announced.